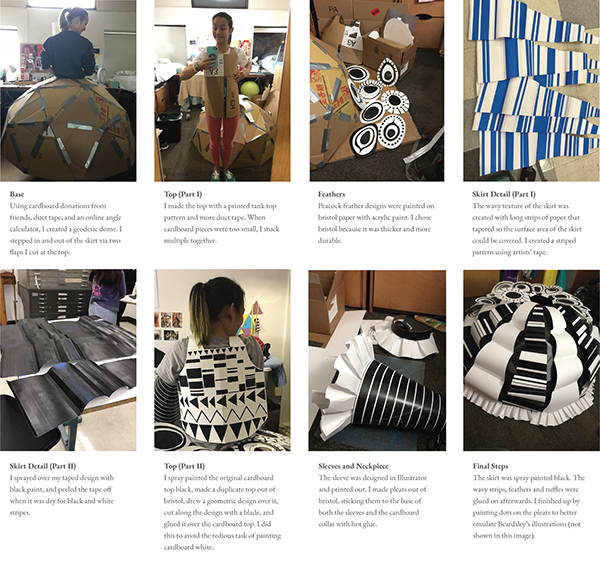 Create a paper garment evocative of the material culture of a specific artistic or historical style. 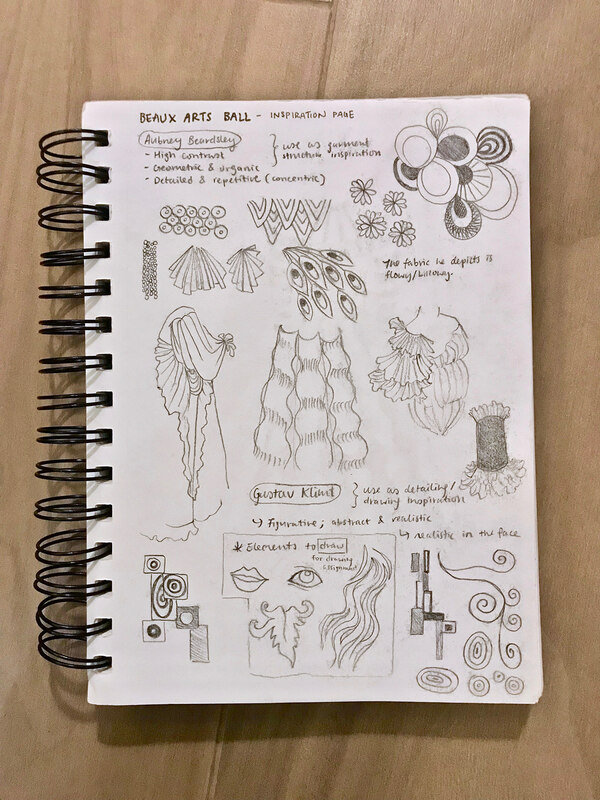 I loved both the illustrative, literal style of Beardsley, and the geometric, abstract style of Klimt - my goal was to harmoniously combine the two styles in the third dimension. I drew from Beardsley's attention to the draping, pleating and flow of fabric, particularly his method of expressing the fabric's behaviour using dots rather than hard lines, as well as his ornate peacock feathers. 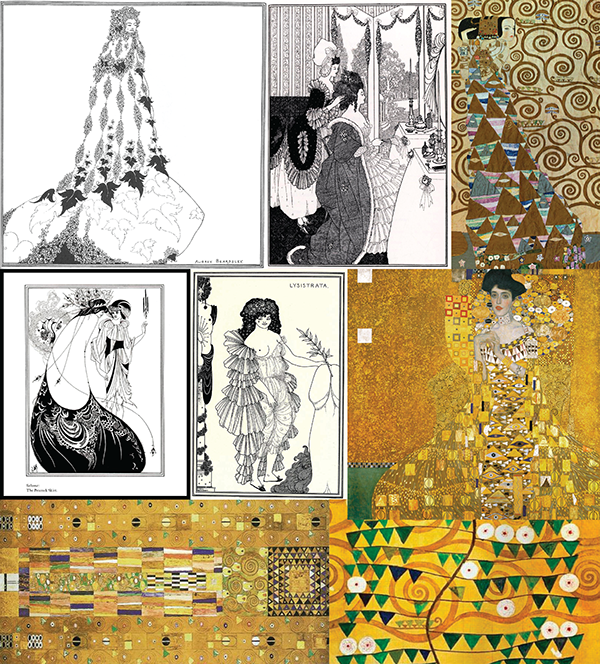 Klimt inspired my use of geometric pattern. I began the design process by trying to imitate the artists' styles to better understand their makeup. 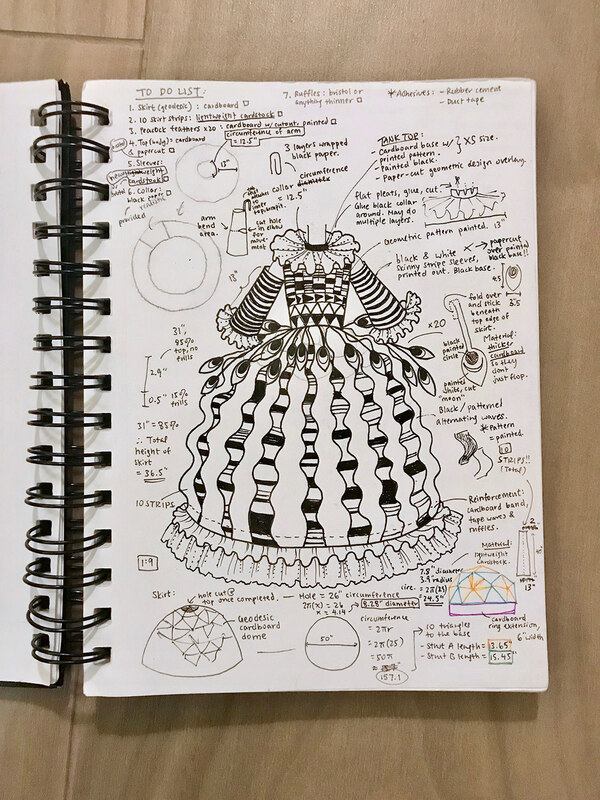 I then gathered my favourite elements together and found a way to incorporate them into one dress, before isolating each design element and generating their respective construction schematics. Due to the complexity of this design, every step had to be thoroughly thought out before I was comfortable taking further action. 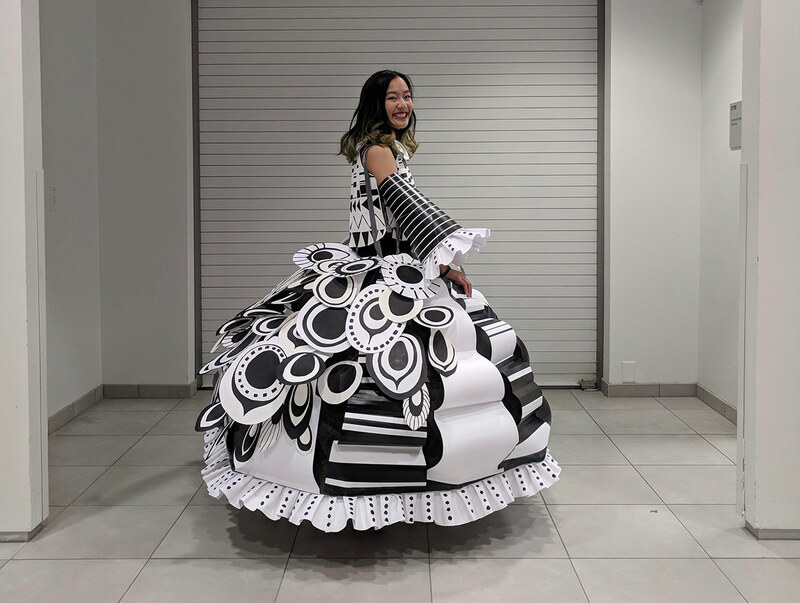 Although the dress held up during the long walk to exhibition space, the skirt's structure started to give way at my hips, where it had been resting. A couple of friends helped me make suspenders out of duct tape that were attached to the inside of the skirt. This project was probably the closest I'd ever get to participating on Project Runway, last-minute hot-gluing and all. 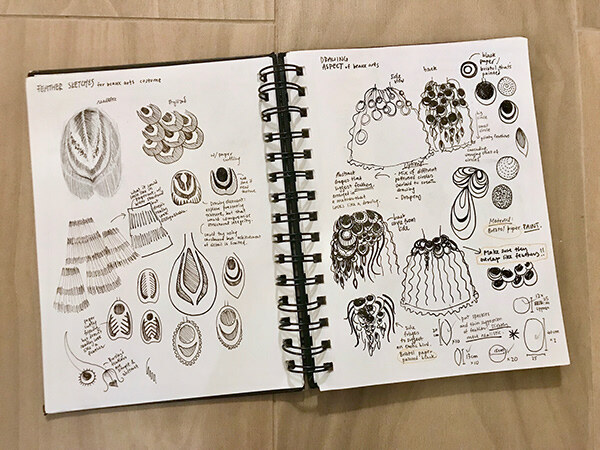 Though stressful, I learnt a lot from working with a new material, self-directing my process, and troubleshooting last-minute design issues.